The Fight Against Huntington’s Disease. The outing includes a wonderful lunch, a full-day of golf, drinks, dinner, and a fantastic silent auction. The event is held at Echo Lake Country Club, a private golf club in New Jersey. 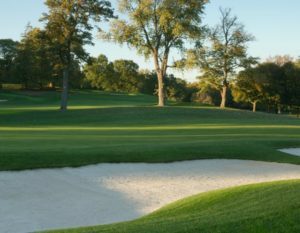 Echo Lake’s 18-hole course was designed by the famed architect, Donald Ross. Includes six (6) complimentary cocktail reception & dinner tickets, signage at the dinner, and special recognition at the event. Includes five (5) complimentary cocktail reception & dinner tickets, signage at the cocktail reception, and special recognition at the event. Includes five (5) complimentary luncheon tickets, signage at the luncheon, and special recognition at the event. Signage on the beverage cart and special recognition at the event. CART SPONSORS (4) $500 ea. Signage on one fourth of the total carts used. Signage on the putting green. Signage on one tee and green. Signage on one tee or green. NJ CURE HD is a statewide organization, comprised of passionate individuals, united as a community, in the fight against Huntington’s Disease.